Priscilla graduated with a degree in Graphic design from Canterbury College of Art, and since then has worked as a book designer and freelance artist. 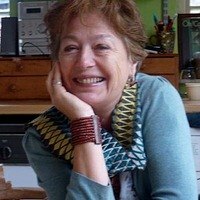 She has illustrated over 40 books for children for a variety of authors and designs cards and prints. She lives in Kent with artist David Hayward working in a studio at the Creek Creative building in Faversham. 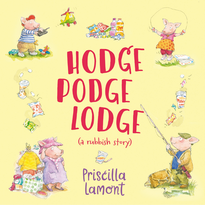 She loves walking and her latest book ‘Hodge Podge Lodge’ came from the distress at seeing so much careless litter on walking paths and lanes. She hopes the book will have some small impact. She also plays the ukulele!